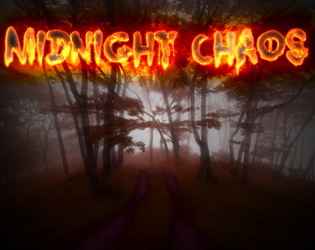 Midnight Chaos is a short kinetic novel and part of the Sleepless Night series. It is highly recommended that you play Sleepless Night and Sleepless Night 2: Ladies' Night(mare) beforehand. This story focuses on what happens in that time when the protagonist from Sleepless Night is asleep and the girls from Sleepless Night 2 are having their ladies' night. It'll throw some light on the events from the two games and is some sort of prelude to the third and final Sleepless Night game. You will meet old friends and new enemies. What is Haru up to now? His friends are in danger, and he has to make an important decision. The true villain shows up and threatens Haru and all the people he loves. Can Haru find his friends in time to warn them? Will he find the answers in Shizuka's house, or in the forest? Since Midnight Chaos is a thank you to the fans of the series, I wanted to make it available who support the Sleepless Night series in some way. If you've created fan art, fan fiction, a translation of one of the games, or something else or have provided me with resources for the games and/or helped me with programming/art/testing, just send me a message and I'll send you a link to the full game. Of course, you can also create something new, it doesn't have to be super complex, just something small is good enough. I'll post fan art and other things on my website and link to a page of yours if you want.